Host your next wedding, banquet or party at Countryside! Countryside Manor can supply comfortable seating for 200 guests inside and an additional 100 guests outside on the covered patio. The Manor is designed to host weddings, receptions, class reunions, anniversary celebrations, birthday parties, family reunions and other large events. 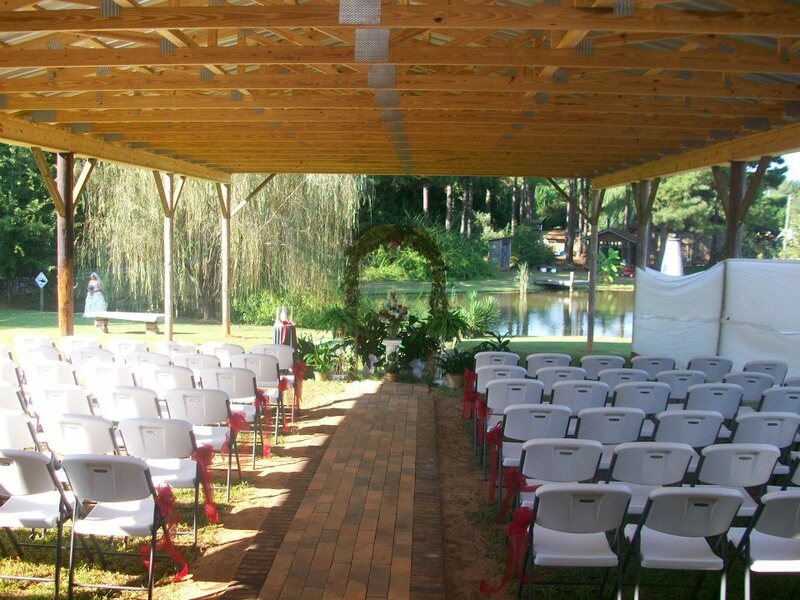 The attached pavilion is perfect for hosting wedding ceremonies! On site DJ, wedding planner and decorators now available! Rates for renting the building depend on several factors, length of function, if we provide the catering service and number of guests. If meals are being catered by Countryside Catering, the standard rates for renting the facility are listed below. If you would like to rent the facility without catering or provide your own food, please call for pricing. seating smaller groups of 50 guests inside or 90 guests inside and on the patio; however, this room is only available when using Countryside Catering services. Countryside Banquet Room and Patio are only available for rental when using Countryside Catering services. Please ask about current rental rates for these rooms when requesting catering prices. Or, contact us by clicking the link below!